Saint John — Vancouver and Toronto both have been nicknamed “Hollywood North” in recent years, but soon Saint John, N.B. could be added to that list. 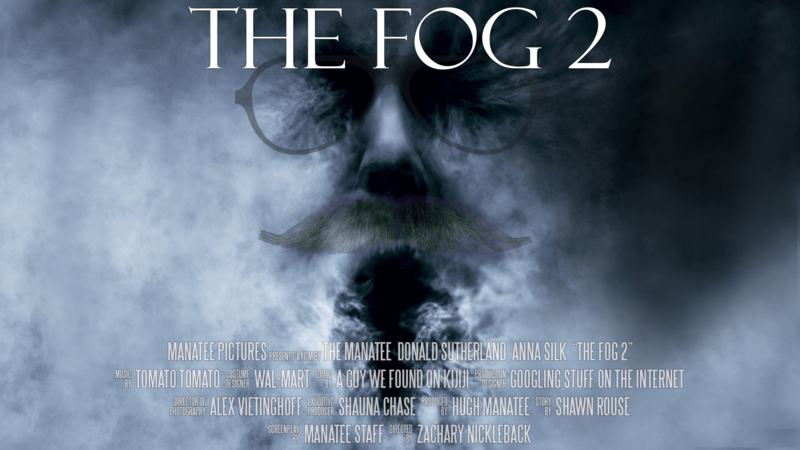 New Brunswick director Zachary Nickleback announced plans to shoot the sequel to the 2005 Hollywood horror film The Fog in the Port City this summer. Nickleback is best known for his failed 2015 documentary Straight Outta Hampton, on the life of John Peters Humphrey. “Saint John is a natural location for a movie about the ominous and oppressive nature of fog,” said Nickleback. “Really, nobody knows fog better than Saint Johners. There are entire weeks in the summer where people don’t see the sky — that can really mess with your head! In the first Fog film, a thick mist envelops an island town bringing the vengeful spirits of people who were murdered 200 years earlier. The sequel will focus on Partridge Island, located approximately 1 kilometre from the shore of west Saint John. The island was chosen as the site for a “pest house” and quarantine station in 1785. The film will dramatize Partridge Island’s real-life history. In 1847, 16,000 Irish migrants to New Brunswick were met by an outbreak of typhus. The illness consumed the island with hundreds of men, women and children becoming sick and dying. The dead were so hastily buried that when it rained, the soil washed away and exposed the decaying corpses. In the movie, the souls of vindictive Irish outbreak victims come ashore — using the cloak of a thick fog — to wreak havoc on the descendants of the Saint Johners who left them on the island to die. Production is planned to begin in mid-July, as soon as the fog rolls out long enough for planes to land.